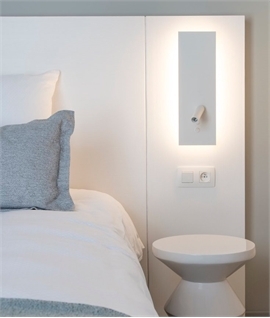 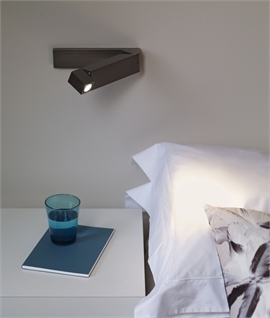 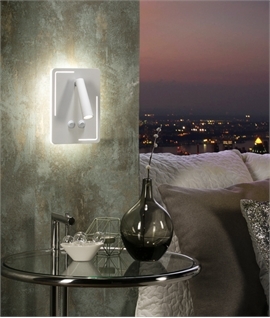 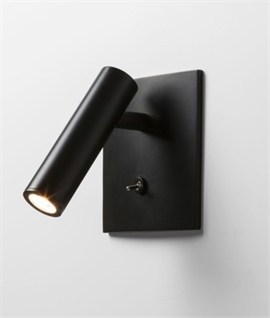 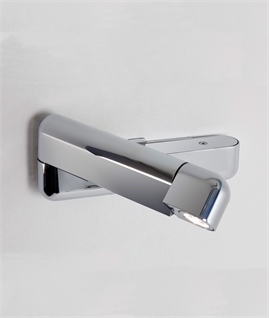 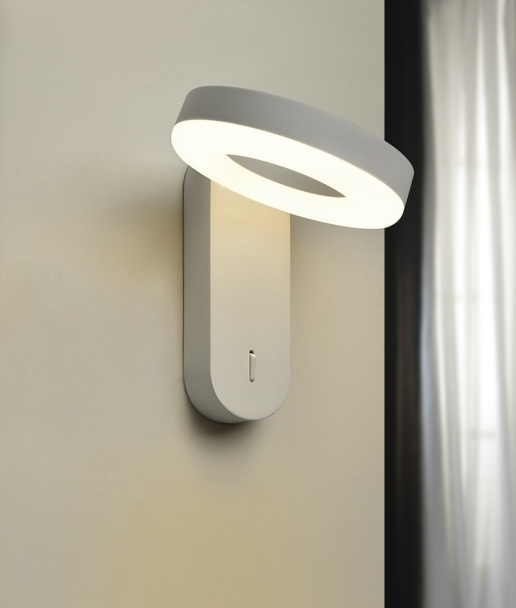 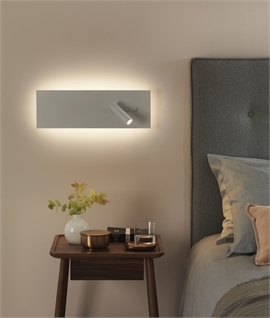 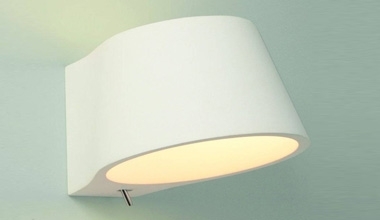 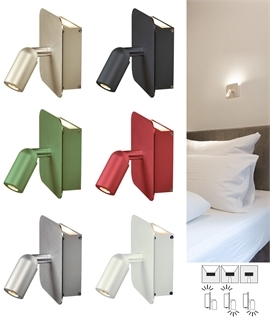 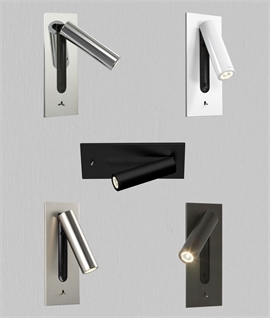 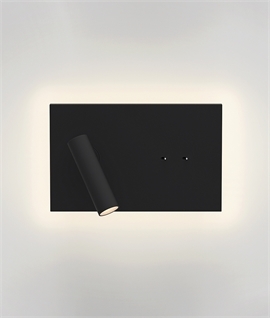 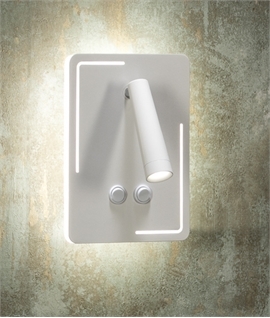 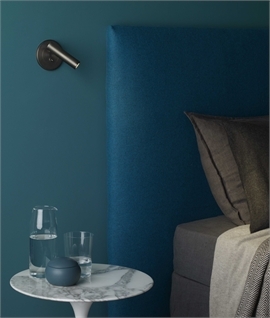 An interesting and functional wall light compromising of a back plate which holds a halo (circular) lamp head which is adjustable and contains LEDs for energy efficiency. 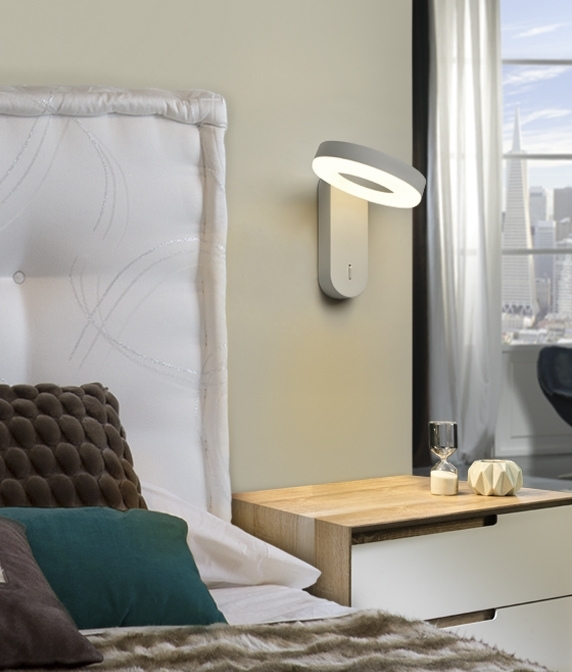 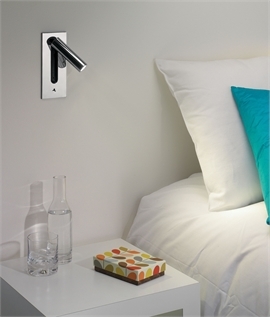 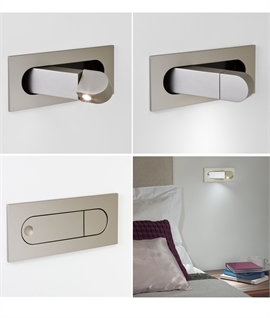 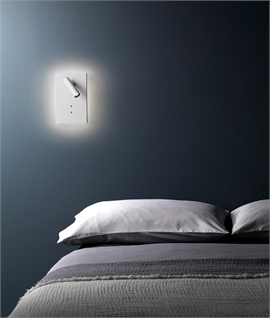 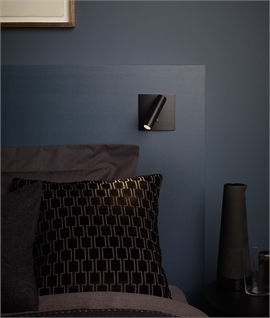 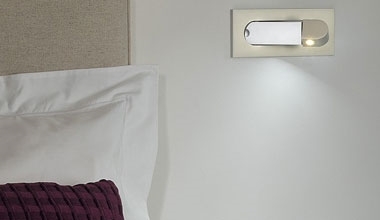 The back plate has a small rocker switch allowing you to turn the light on and off without leaving the bed. 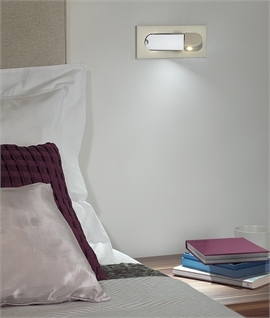 Perfect for bedtime reading allowing your partner to sleep whilst you read. 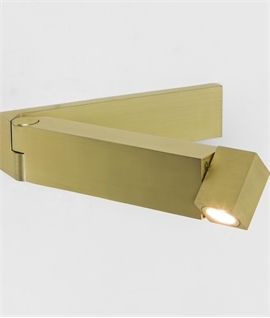 Contains 10 watt LEDs 4,000k and 585 lumen. 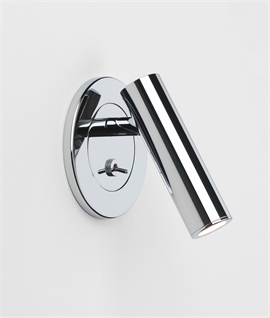 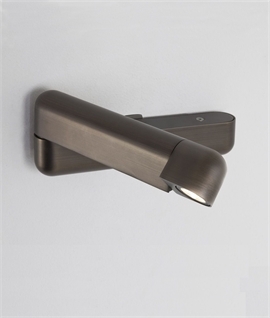 The back plate measures 50mm wide by 150mm high and has a 30mm protrusion.